As R3hab continues his busy North American Tour of Summer 2011, he made time to tease us with a new remix he premiered at his Las Vegas tour destinations XS and Surrender night clubs. 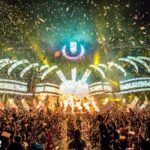 Just as everyone was crediting Nicky Romero with the one and only exceptional remix to Guetta’s “Without You,” R3hab released a colossal preview just to remind us all how he has not slowed down one bit. Including Usher’s satisfactory vocals from the original mix, R3hab transforms the track to make the vocals sound that much more animate and alive! Mastering the craft of melodic electro synths, bleeps, pounding drums, and tons of white noise, R3hab has managed to create that same authentic and robust sound on his remix of “Without You,” that all of us at Dancing Astronaut continue to love him for. As the remix is set to release September 20th on David Guetta’s F*** Me I’m Famous imprint, R3hab is remaining at the top of his game and dedicatedly pleasing EDM fans around the world.